Chateau / Country House548 sq. ft. The estate offers the possibility of staying in both rooms with B & B in Apartments. This newly renovated apartment with separate entrance, measuring 45 sqm + garden and overlooks the one hand directly over the vineyards of the property, hence the name. On the other side the view overlooks the main garden. 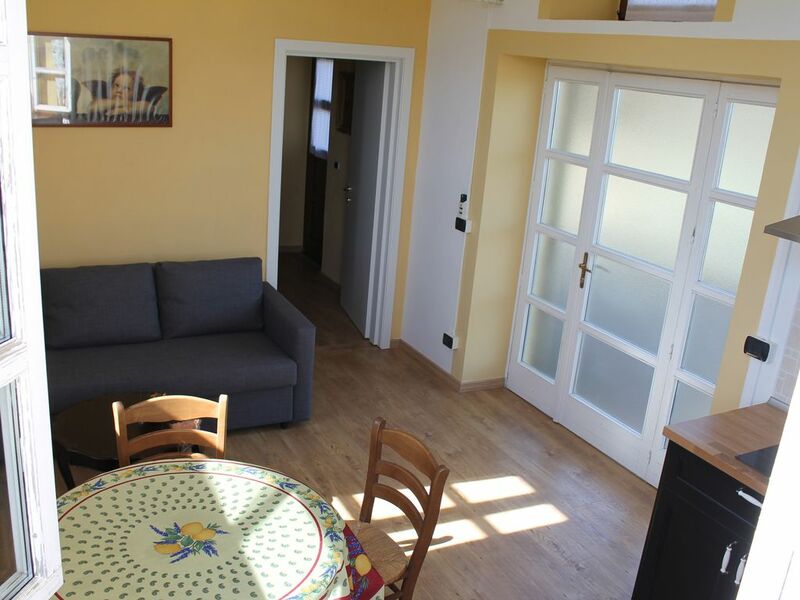 The apartment consists of a living area with kitchenette and sofa bed, a double bedroom and a bathroom. You can stay from 2 to 4 people, as well as a private outdoor area can enjoy common areas such as the large garden, solarium, children's area, barbecue and pool. A special feature of this property is the bathroom with a sauna. The use of the sauna must be agreed with the staff that will manage the use, and comes at extra costs. The bathroom is equipped with a sauna. The use of the sauna must be agreed with the staff that will manage the use, and an additional charge of EUR 20 per day.